Add Mini Vacation to your order? 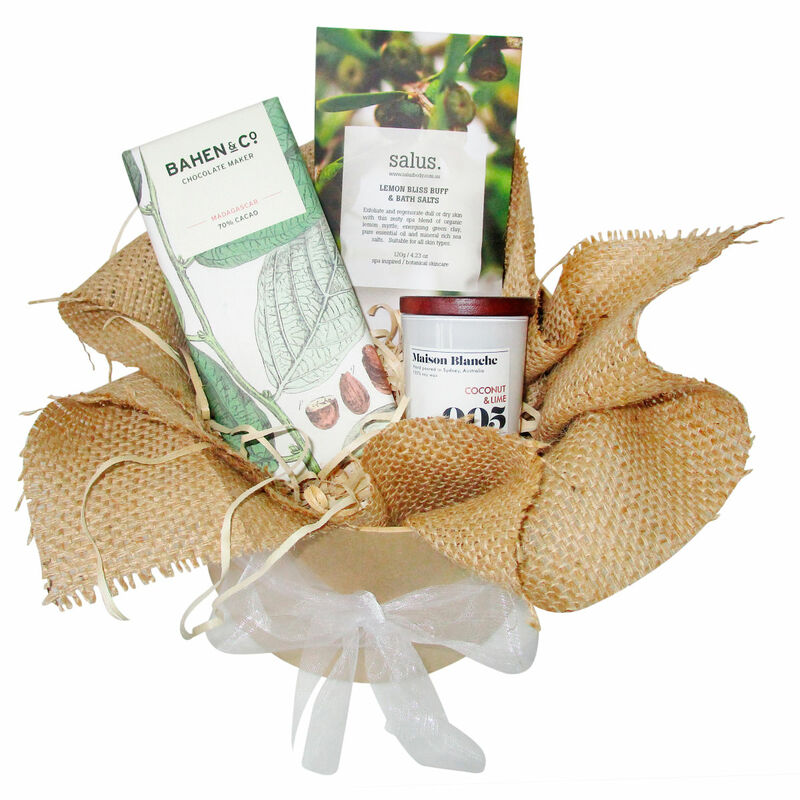 When your special recipient could use some rest and relaxation, our Mini Vacation hamper is here to help! 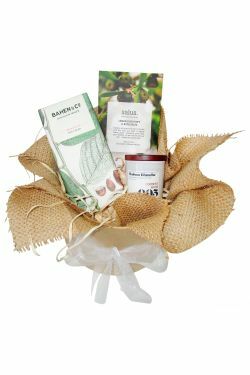 We've included Salus' Lemon Bliss buff and bath salts for an invigorating, citrus-infused scrub in the tub, a hand-poured 15-hour Maison Blanche cotton & Camomile soy candle to make home feel like a tropical getaway, and finally, a simply divine Madagascar chocolate bar from Bahen & Co. featuring a unique blend of citrus, rum and raisin flavours – it's pure heaven!